During the fourth quarter the Russell 2000 ETF (IWM) lagged the larger S&P 500 ETF (SPY) by nearly 7 percentage points as investors worried over the possible ramifications of rising interest rates. The hedge funds and institutional investors we track typically invest more in smaller-cap stocks than an average investor (i.e. only 298 S&P 500 constituents were among the 500 most popular stocks among hedge funds), and we have seen data that shows those funds paring back their overall exposure. Those funds cutting positions in small-caps is one reason why volatility has increased. In the following paragraphs, we take a closer look at what hedge funds and prominent investors think of BHP Group (NYSE:BBL) and see how the stock is affected by the recent hedge fund activity. 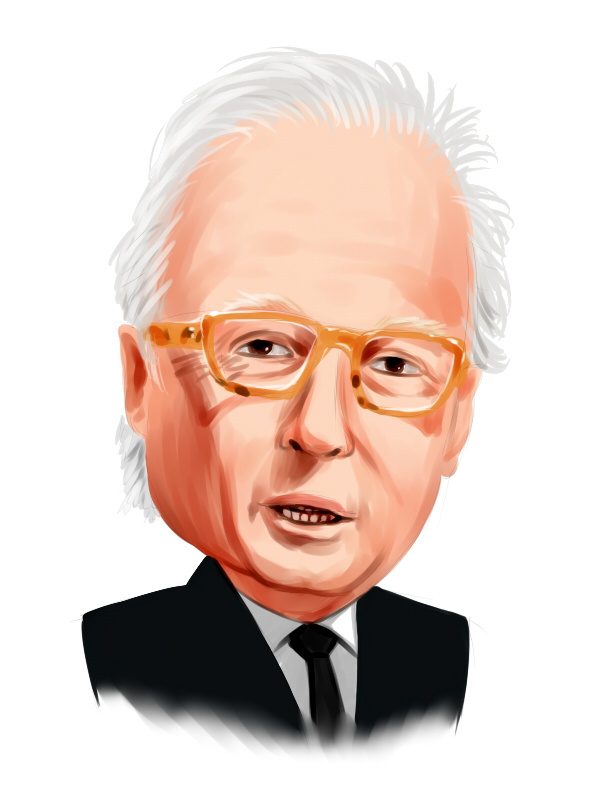 BHP Group (NYSE:BBL) shareholders have witnessed a decrease in hedge fund sentiment lately. BBL was in 15 hedge funds’ portfolios at the end of the fourth quarter of 2018. 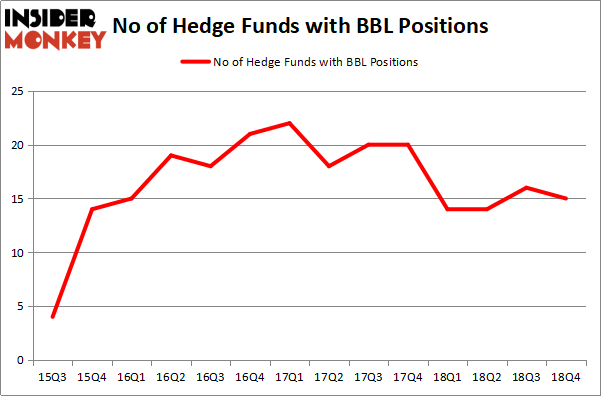 There were 16 hedge funds in our database with BBL positions at the end of the previous quarter. Our calculations also showed that BBL isn’t among the 30 most popular stocks among hedge funds. We’re going to take a peek at the new hedge fund action encompassing BHP Group (NYSE:BBL). What does the smart money think about BHP Group (NYSE:BBL)? Heading into the first quarter of 2019, a total of 15 of the hedge funds tracked by Insider Monkey held long positions in this stock, a change of -6% from one quarter earlier. The graph below displays the number of hedge funds with bullish position in BBL over the last 14 quarters. With hedge funds’ sentiment swirling, there exists a select group of noteworthy hedge fund managers who were boosting their stakes meaningfully (or already accumulated large positions). Among these funds, Fisher Asset Management held the most valuable stake in BHP Group (NYSE:BBL), which was worth $201.7 million at the end of the third quarter. On the second spot was Polaris Capital Management which amassed $187.2 million worth of shares. Moreover, Arrowstreet Capital, Millennium Management, and Two Sigma Advisors were also bullish on BHP Group (NYSE:BBL), allocating a large percentage of their portfolios to this stock. Because BHP Group (NYSE:BBL) has faced declining sentiment from hedge fund managers, logic holds that there is a sect of fund managers that elected to cut their entire stakes last quarter. At the top of the heap, Kenneth Mario Garschina’s Mason Capital Management dropped the largest stake of all the hedgies monitored by Insider Monkey, totaling an estimated $190.7 million in stock, and Jonathan Barrett and Paul Segal’s Luminus Management was right behind this move, as the fund dumped about $8.1 million worth. These transactions are interesting, as total hedge fund interest dropped by 1 funds last quarter. Let’s check out hedge fund activity in other stocks similar to BHP Group (NYSE:BBL). These stocks are salesforce.com, inc. (NYSE:CRM), Philip Morris International Inc. (NYSE:PM), Broadcom Inc (NASDAQ:AVGO), and International Business Machines Corp. (NYSE:IBM). This group of stocks’ market valuations are closest to BBL’s market valuation. As you can see these stocks had an average of 61.75 hedge funds with bullish positions and the average amount invested in these stocks was $3145 million. That figure was $714 million in BBL’s case. salesforce.com, inc. (NYSE:CRM) is the most popular stock in this table. On the other hand Philip Morris International Inc. (NYSE:PM) is the least popular one with only 48 bullish hedge fund positions. Compared to these stocks BHP Group (NYSE:BBL) is even less popular than PM. Our calculations showed that top 15 most popular stocks among hedge funds returned 19.7% through March 15th and outperformed the S&P 500 ETF (SPY) by 6.6 percentage points. A few hedge funds were also right about betting on BBL as the stock returned 17.2% and outperformed the market as well. Should You Buy The Boeing Company (BA)? Here is What Hedge Funds Think About Cisco Systems, Inc. (CSCO) Were Hedge Funds Right About Novartis AG (NVS)? Do Hedge Funds Love Taiwan Semiconductor Mfg. Co. Ltd. (TSM)? Were Hedge Funds Right About The Coca-Cola Company (KO)? Were Hedge Funds Right About Merck & Co., Inc. (MRK)?